So we're currently in the process of putting together lots of stock to take along. 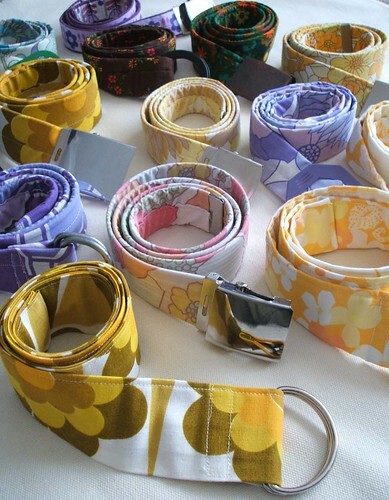 This is our latest batch of belts, made from repurposed belts covered with fab vintage fabric! Really cute belts! I love them. The festival sounds like a lot of fun!